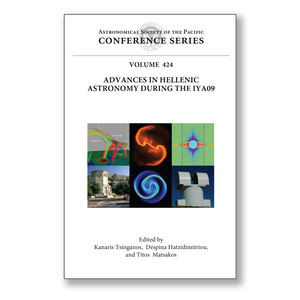 These are the proceedings of the 9th international astronomical conference organized by the Hellenic Astronomical Society (Hel.A.S. ), the professional organization of all Greek astronomers. The meeting was held in the city of Athens and hosted 198 participants from 15 countries, with interests in Astronomy, Astrophysics, and Space Physics. The conference took place at the Department of Physics of the University of Athens, between September 20 and 24, 2009. Because it coincided with the festive International Year of Astronomy 2009 (IYA09), it was the largest conference of Hel.A.S. The scientific program consisted of 5 plenary talks, 15 invited presentations, 55 contributed papers and about 100 poster presentations carefully selected by the Scientific Organizing Committee of the conference, out of several submissions. This was a very successful conference organized during the IYA09 in the historic city of Athens, home of several ancient Greek astronomers. The conference served not only to showcase some of the achievements of Hellenic astronomers, but also allowed to hear from, discuss and debate the recent findings of world-class scientists in astronomy. The conference program and the papers of this volume are organized in 6 parts: (1) Sun, Planets and Interplanetary Medium, (2) Stars, Exoplanets, and the Interstellar Medium, (3) Extragalactic Astrophysics and Cosmology, (4) Dynamical Astronomy and Relativistic Astrophysics, (5) Astronomical Infrastructure and (6) History and Education in Astronomy. The book contains reviews of results made in the last years and reports on recent progress in Astronomy during the IYA09, in the totally 110 papers. It is thus of interest to researchers in all areas of Astronomy, Astrophysics, and Space Physics.